Actors from the National Tour of A Bronx Tale held an acting workshop for Mike Thomas's Theatre II students in the FHS Black Theatre. Feb. 25. Students listened as the performers told their stories of becoming a professional actor. Students performed prepared monologues for the actors to adjudicate. 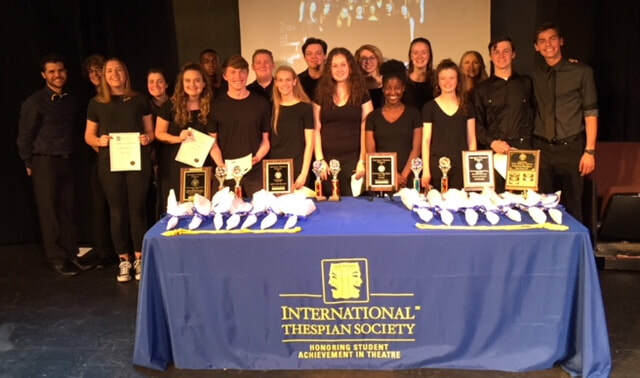 Sixteen new members were inducted into Thespian Troupe #717 on May 2. Retiring FHS Principal, Mr. Steve Jacoby, was inducted as an honorary member of Thespian Troupe #717 for his love and support of FHS Theatre throughout the years. Troupe sponsor Trevor Cooperescue presented him with an commemorative certificate and Thespian pin. 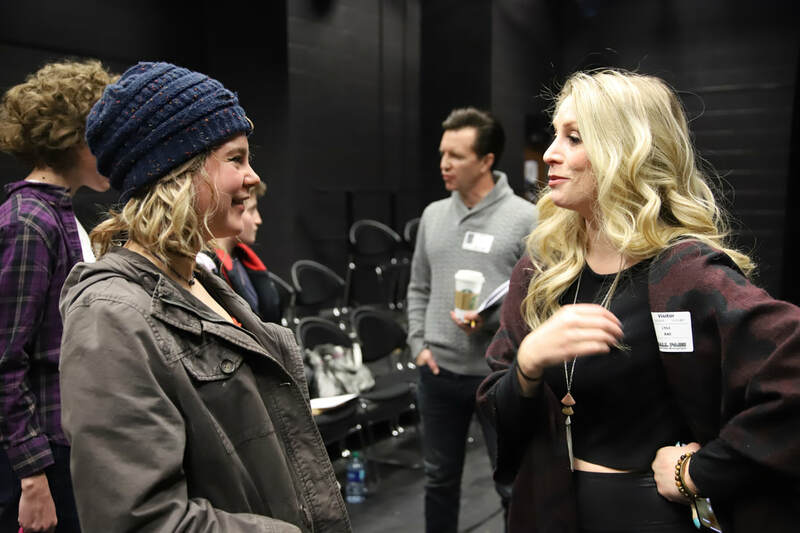 Sophomore Theatre student, Charlotte McCombs, play, Chekov's Gun, was chosen as Best Play at the 2017-18 Arkansas Young Playwrights Competition. Charlotte's play was one of 10 plays chosen from over 100 entries to be a finalist in the competition. FHS Senior Theatre student, Logan O'Hara, was chosen as Best Actor of the Competition. The FHS Theatre Department is proud of these young artists accomplishments. Thespian Troupe #717 of Fayetteville High School received a $3,200. grant to attend the Arkansas State Thespian Festival in Russellville, Arkansas, February 7-9. The grant will help defray the travel and hotel costs for twenty-eight FHS Thespians attending the Festival. Students will participate in theatre workshops presented by national theatre professional. Students will be adjudicated in areas acting, musical theatre, technical theatre, and theatre marketing. 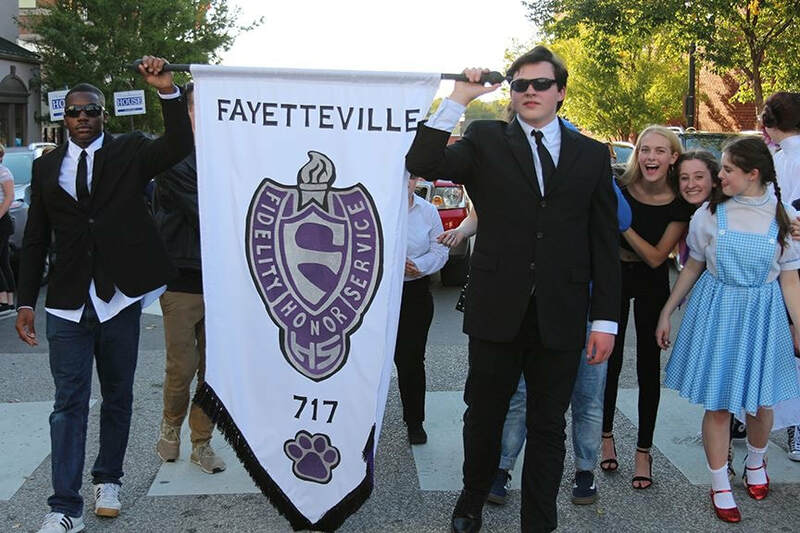 The Fayetteville Public Education Foundation announces a new endowment for the Fayetteville High School Theatre Program. The Warren Rosenaur Theatre Endowment will allow the theatre program to receive an annual grant from the Foundation to enhance and enrich the FHS Theatre Department's productions and commitment to the arts education. 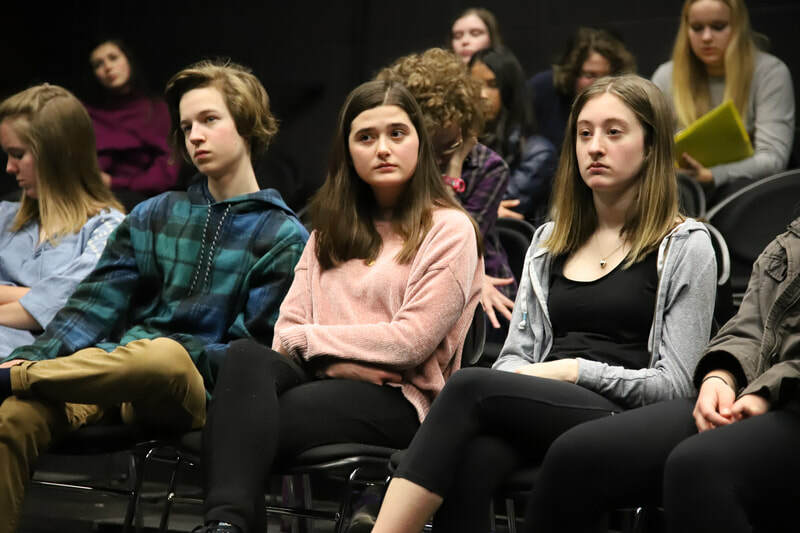 This year's endowment grant will help fund the new class Acting For the Theatre-Improvisation in addition the grant will help buy play scripts to be used in all theatre classes. 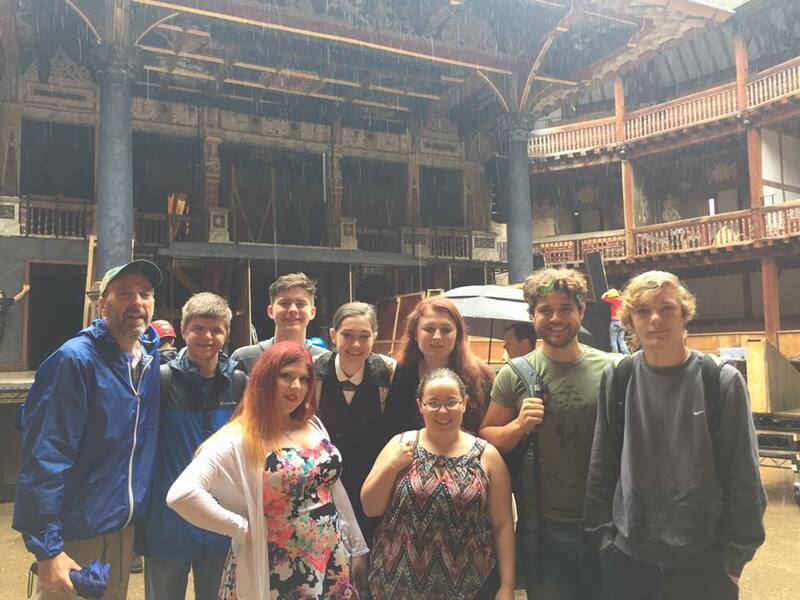 FHS Theatre students and teachers traveled to London, England in June. Students explored the birthplace of William Shakespeare, The Globe Theatre, West Minister Abbey, The Tower of London, Buckingham Palace, Stonehenge, attended three West End shows, and participated in acting workshops with theatre professionals. Stage, Film, and TV actor Scott Wolf visits FHS! 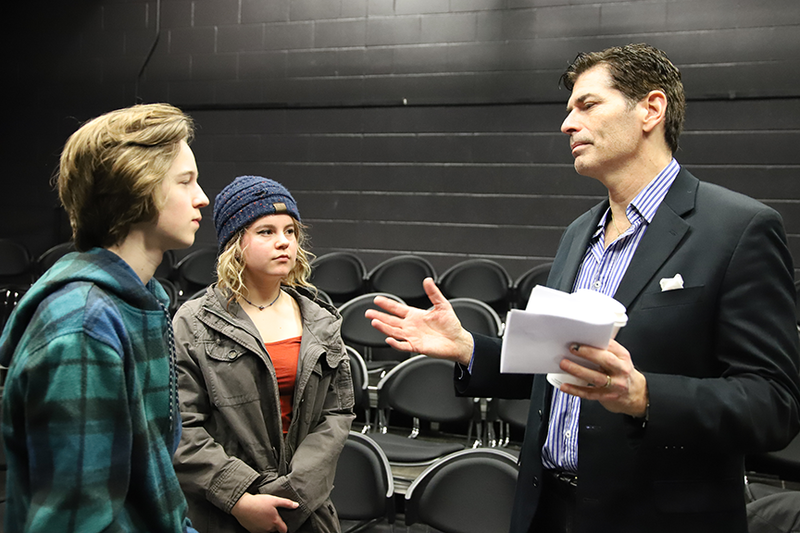 Stage, Film and Television actor, Scott Wolf (Party of Five, Go, White Squall, Nightshift Side Man, Fat Pig), talked with FHS Theatre students on the craft of acting and careers in the entertainment industry.